Analyse the horse racing odds based on the horse's name. Check your betting odds now! 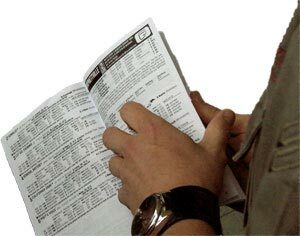 Please use the form on the next page to calculate the odds for your next race. It's quick and easy. 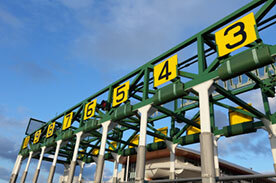 For each race, you'll be able to choose the number of horses, the name of the race track and some additional track information such as the weather. All these factors will be taken into account when calculating the probability of a win. Your personal trifecta will be shown. You'll be the number one coach at the track with our results in your hands. It's not easy to pick the right horse when your a novice gambler. We've had some good luck using our algorithm to predict the probability of the top 3 horses finishing in many races. Over the years we adapted the calculations and statistics which should give you a good idea which horse performs best in a race. We're combining mathematics, astrology, numerology and some secret ingredients to create the ranking for your race.